Beijing police are cracking down on illegal drug use among Chinese and foreigners alike. Beijing in recent days has seen a major crackdown on illegal drug use. As Zach noted earlier, one of the highest profile names to get caught up in Beijing’s drug raids was none other than Jackie Chan’s son. The crackdown on drug use is part of a broader effort by the Chinese government to regulate vice and enforce anti-drug laws, at least in the nation’s capital. For now, it appears that Beijing police are making little effort to concentrate on domestic offenders — one account of a drug raid demonstrates that the police are indiscriminately targeting foreigners and Chinese alike. Over at ABC, Stephen McDonell has a harrowing eyewitness account of what it’s like to be caught up in a Beijing-style drug bust. McDonell witnessed the Beijing police’s heavy-handed tactics first hand. According to his account, Beijing police raided a bar that was known to be popular with locals and foreigners alike and, after asking for identification, conducted a “random test” of the bar’s clientele for drugs. From there, the police detained these “drug users,” from anywhere between 24 hours to up to two weeks in the case of some foreigners. For foreigners in China, these sorts of busts have important implications. Essentially, individuals can be found guilty of marijuana use and deported even if they can prove that they had ingested the drug in a country where it was legal. McDonell describes “a tourist who had only been in the country for two days” as one of the victims of the raid he witnessed. So far, it seems that foreign embassies have been reaching out to their citizens that are caught up in these raids but there has been no public call for Beijing to moderate its approach to busting illegal drug users in China. 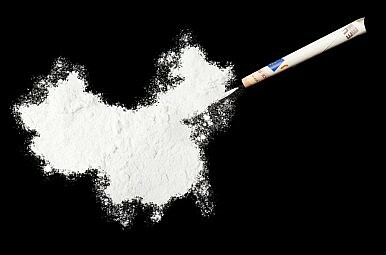 The penalty for being found guilty of drug use is less severe in China than being found guilty of dealing or trafficking. The latter can lead to life in jail or execution.